Organ pipe coral Tubipora, photographed by Mark A. Wilson. Contains: Nephtheidae, Gorgoniidae, Calcaxonia, Alcyoniidae, Plexauridae. The Octocorallia, octocorals, are a well-defined group of mostly colonial cnidarians with polyps with eight tentacles and eight mesenteries, and often with pinnules on the tentacles (Daly et al. 2007). Past classifications of the octocorals have often recognised a distinction between the Gorgonaria (with a horny or calcareous axial skeleton) and the entirely soft-bodied Alcyonaria but phylogenetic studies have not recovered these groups as separate lineages. [A99] Ausich, W. I. 1999. Origin of crinoids. In: Candia Carnevali, M. D., & F. Bonasoro (eds) Echinoderm Research 1998 pp. 237–242. A. A. Balkema: Rotterdam. [BP14] Bryce, M., & A. Poliseno. 2014. 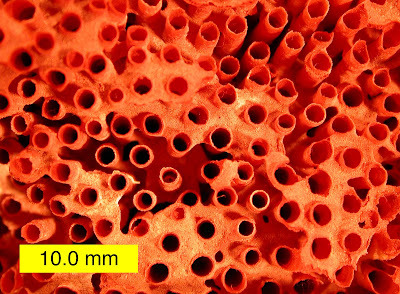 Two new records of octocorals (Anthozoa, Octocorallia) from north-west Australia. Records of the Western Australian Museum 29 (2): 159–168. [G76] Grasshoff, M. 1976. Gorgonaria aus den Riffen von Eilat, Rotes Meer (Cnidaria: Anthozoa). Senckenbergiana Biologica 57 (1–3): 155–165. [G66] Gray, J. E. 1866. 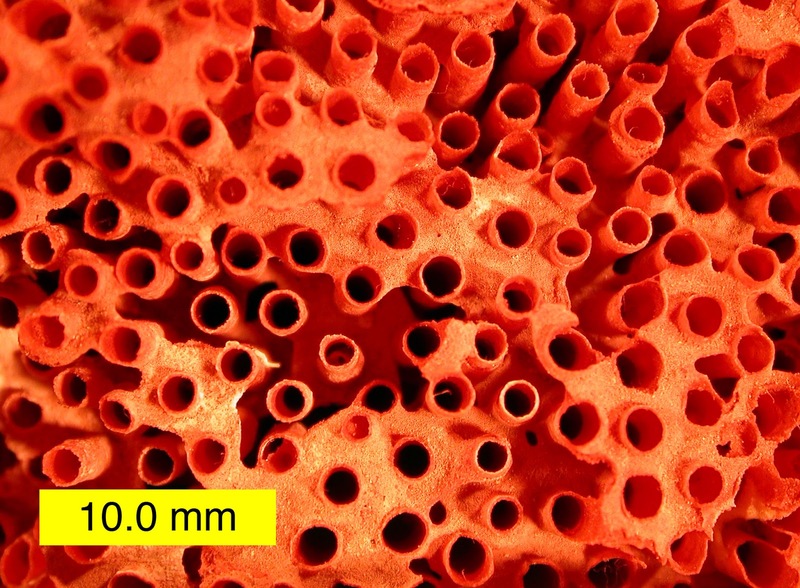 Description of two new forms of gorgonioid corals. Proceedings of the Zoological Society of London 1866: 24–27. [OHO04] Ocaña, O., J. C. den Hartog & L. P. van Ofwegen. 2004. Ring sea anemones, an overview (Cnidaria, Anthozoa, Actiniaria). Graellsia 60 (2): 143–154. [SM78] Sprinkle, J., & R. C. Moore. 1978. Echmatocrinea. In: Moore, R. C., & C. Teichert (eds) Treatise on Invertebrate Paleontology pt T. Echinodermata 2. Crinoidea vol. 2 pp. T405–T407. The Geological Society of America, Inc.: Boulder (Colorado), and The University of Kansas: Lawrence (Kansas). [VMK09] Villarreal Manzanilla, O., & A. B. Kury. 2009. A new generic homonym in the Agoristenidae (Arachnida: Opiliones). Zootaxa 2045: 65–68.